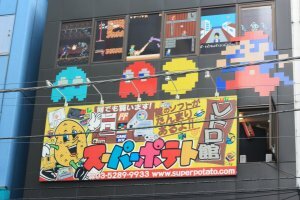 If you can whistle the theme songs to Super Mario Brothers and the Legend of Zelda without hesitation, Super Potato should be on your list of must-visit places in Tokyo. 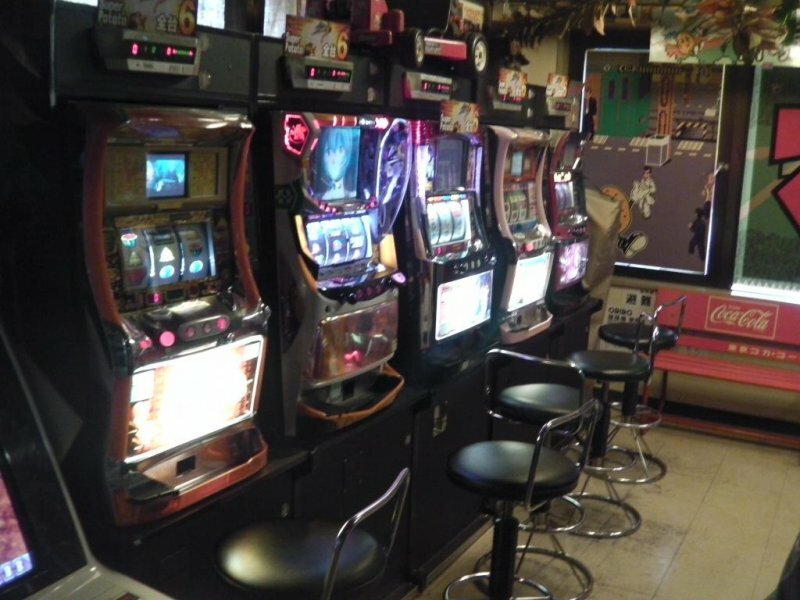 If you are rolling your eyes at your traveling partner's ability to whistle them, you might want to wait outside for this one. 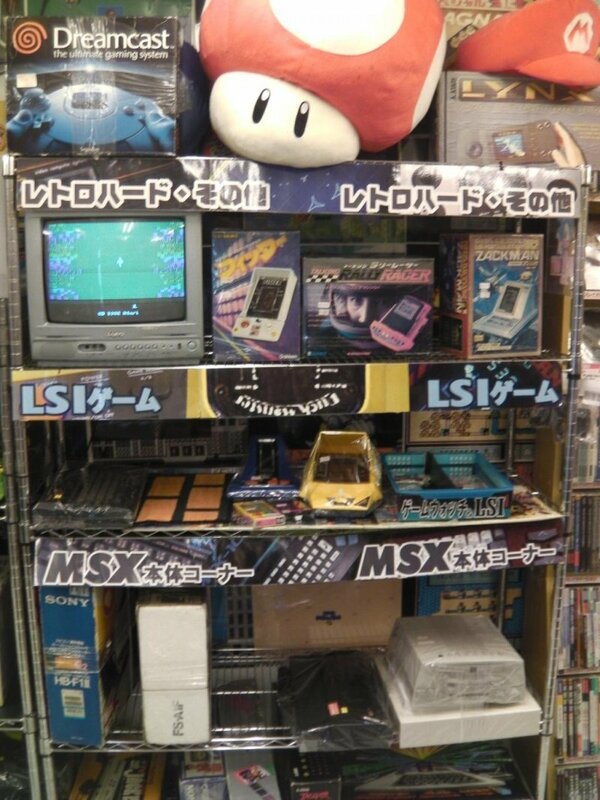 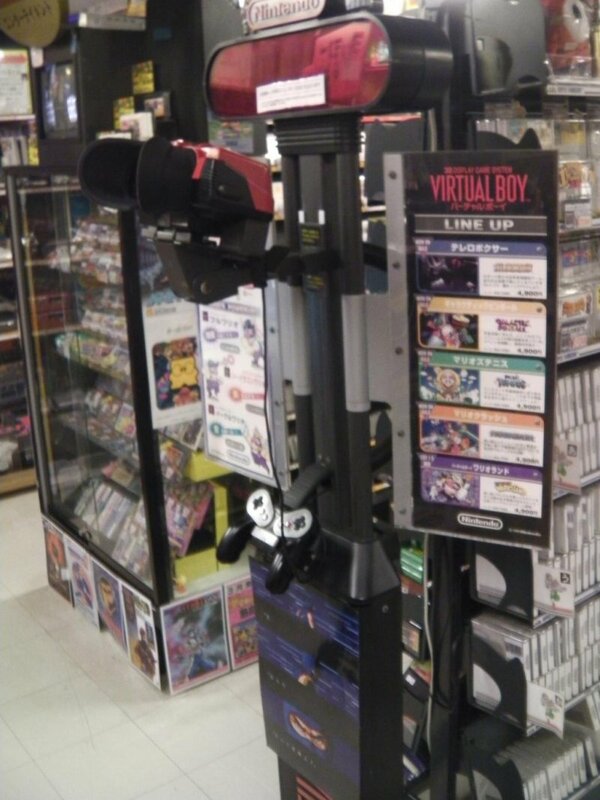 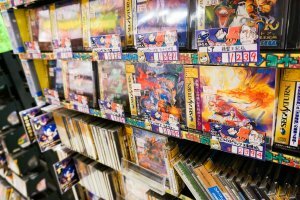 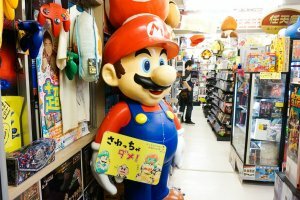 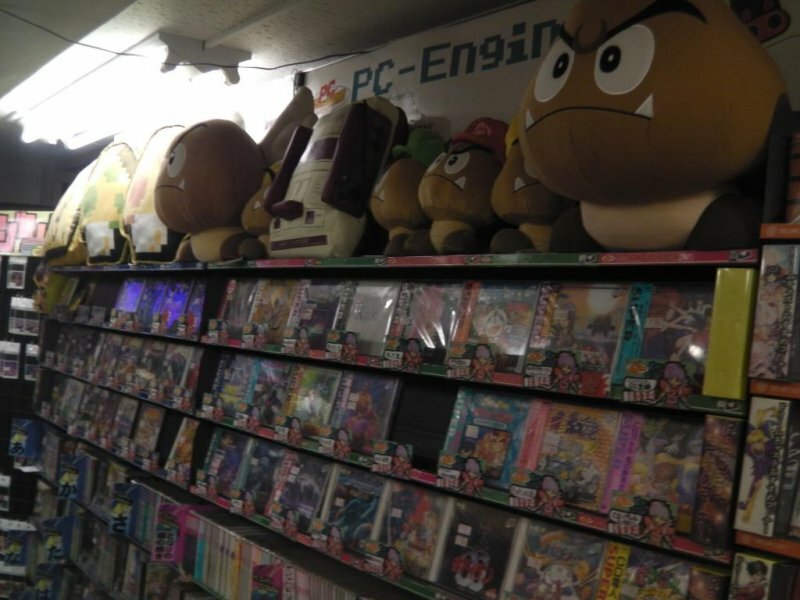 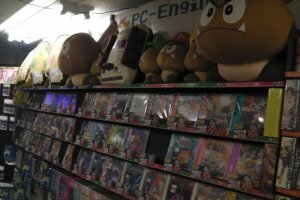 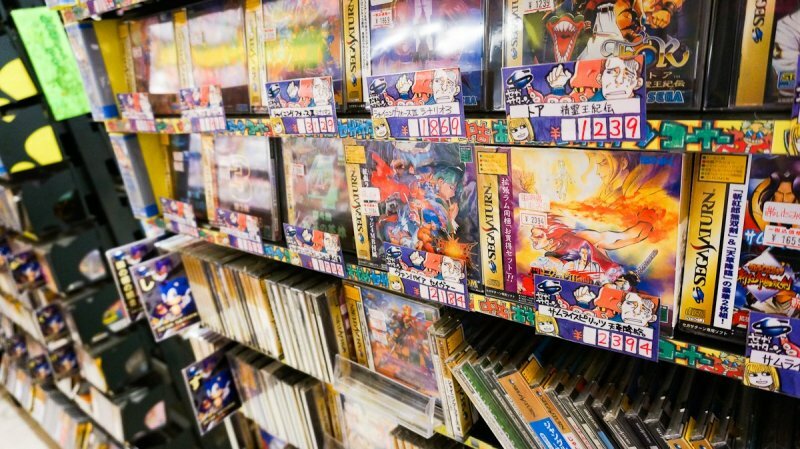 While most stores only focus on what's new in the gaming world, Super Potato is a chain of retro video game stores in Japan filled to the brim with equipment and merchandise for games that you've long forgotten. 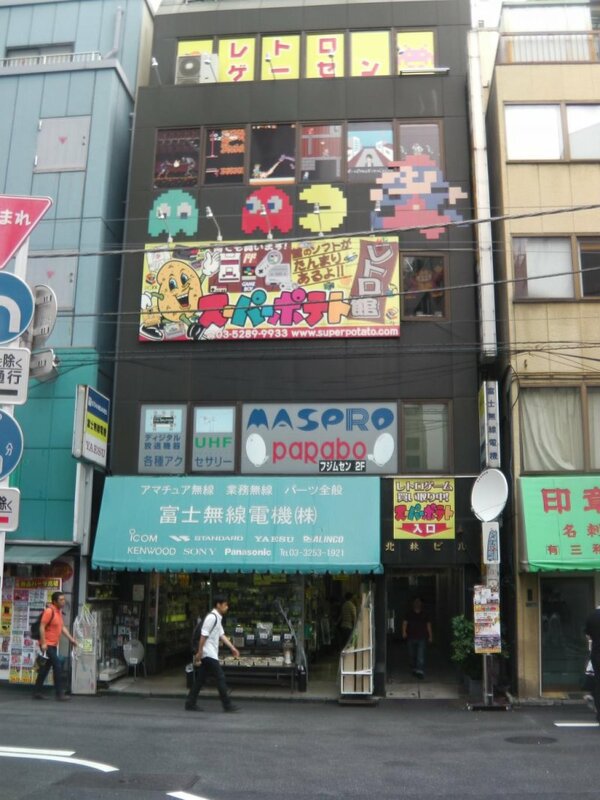 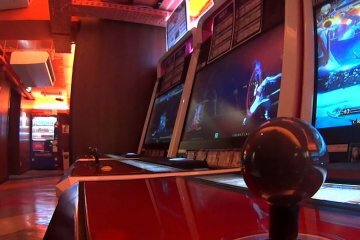 Their shop in Tokyo serves as a kind of flagship store for the chain and includes a vintage video game arcade, leaving lovers of old school video games grinning from ear to ear. 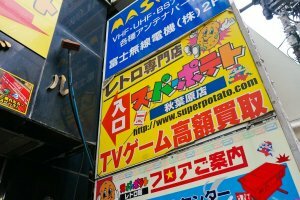 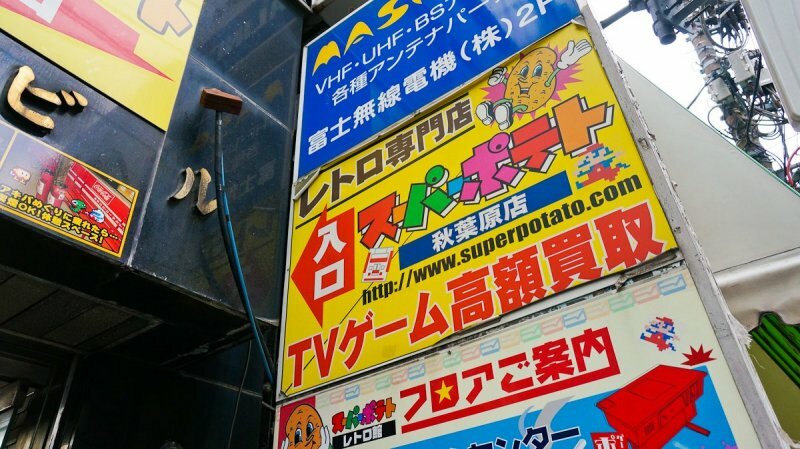 Navigate Akihabara's maze of computer-part shops and evade all the girls in maid costumes, and you'll find Super Potato on the third, fourth and fifth floors of a building painted in classic Mario decals. 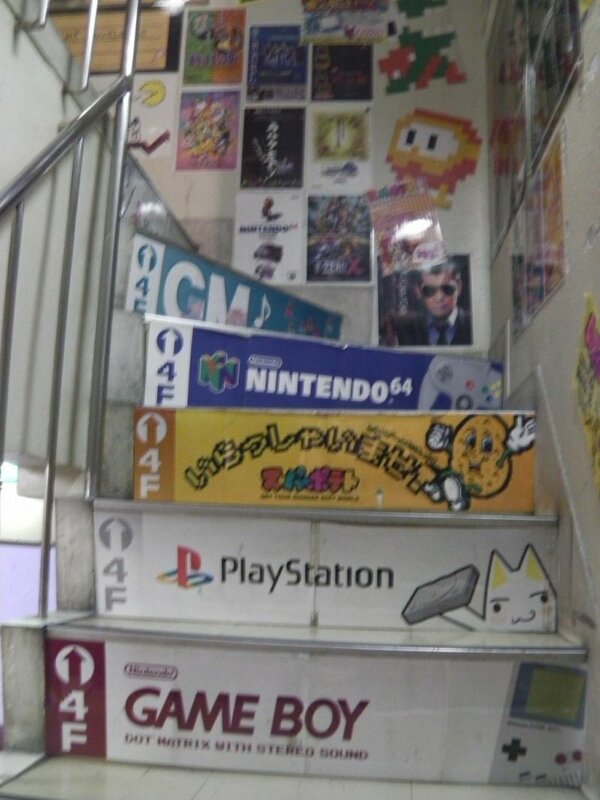 Don't be put off by the the somewhat sketchy back-hallway-back-stairway style entrance - just follow the sounds of the 8-bit video game cheesy keyboard music. 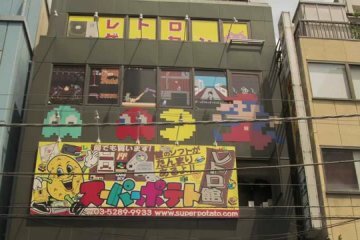 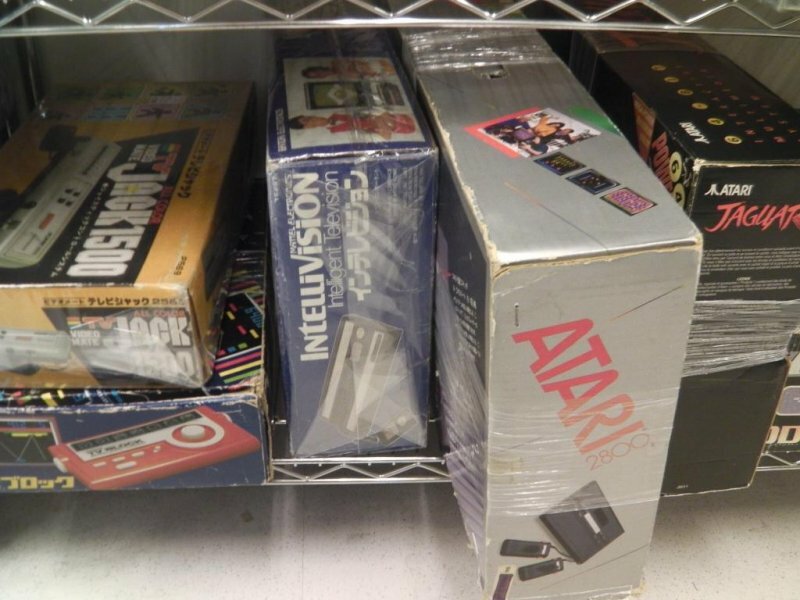 The third and fourth floors of Super Potato are a treasure trove for classic video game lovers, particularly those who played the classic Nintendo systems of the 1980's and 1990's. 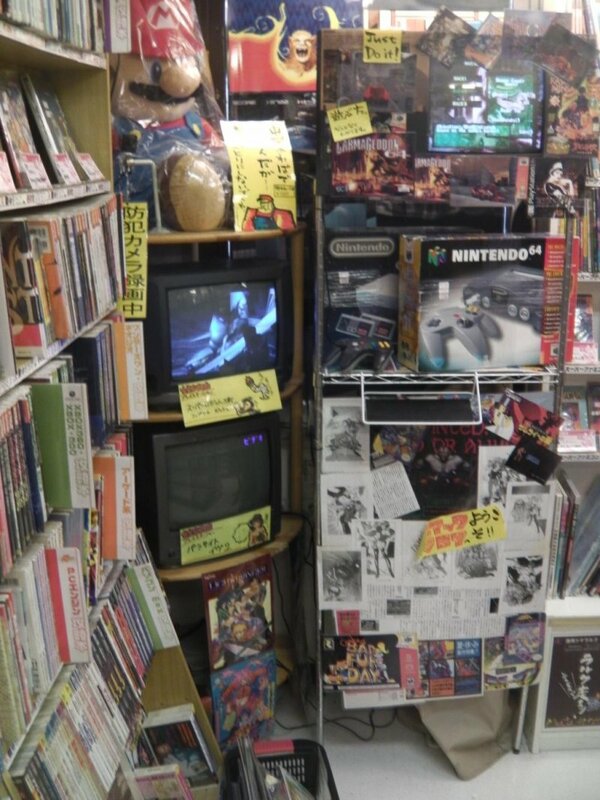 The store contains an impressive library of games from systems that are no longer available for sale elsewhere. 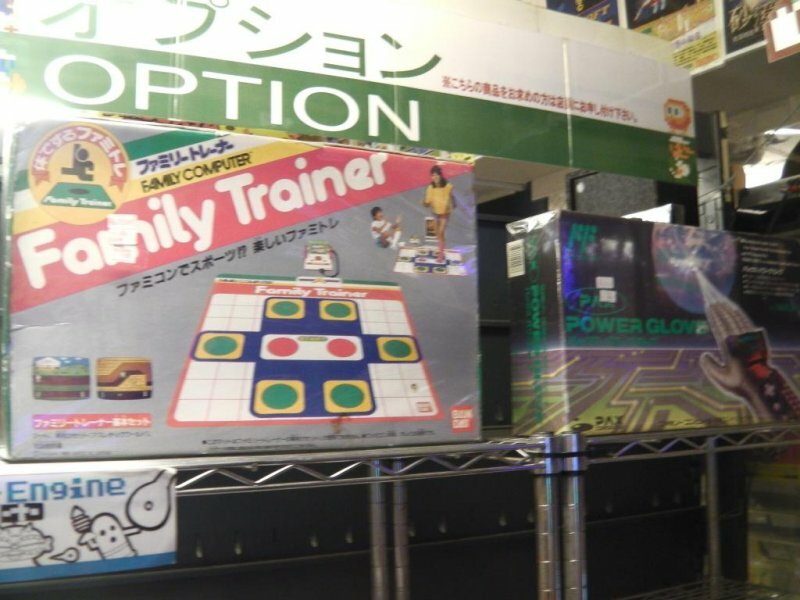 Of course the games and equipment here are all the Japanese versions, which are sometimes a bit different from the versions that were sold overseas, so it's interesting to find familiar and much-loved machinery being sold under different names and manufactured in different styles and colors. 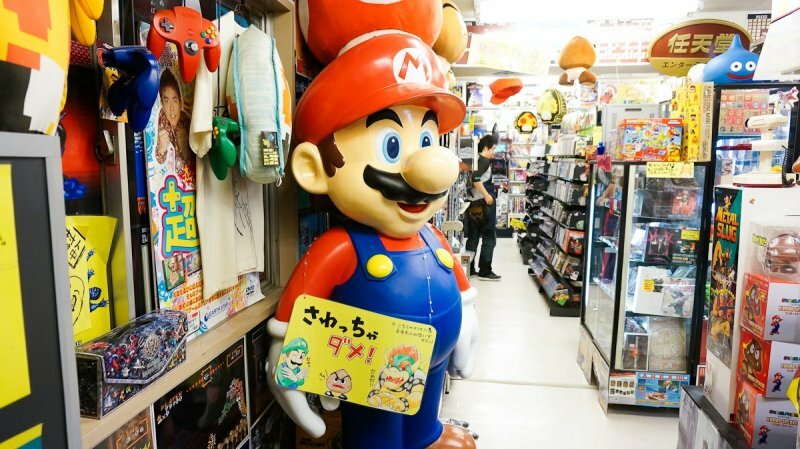 Super Potato also houses a rare collection of merchandise. 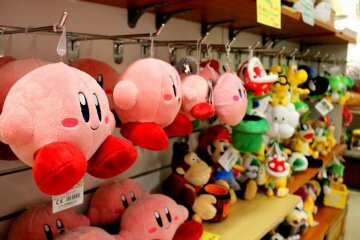 Toys and gifts with video game themes are packed onto the shelves, from a business card case shaped like a Nintendo controller to key chains shaped like characters from Mega Man (only, it's called "Rock Man" in Japan). 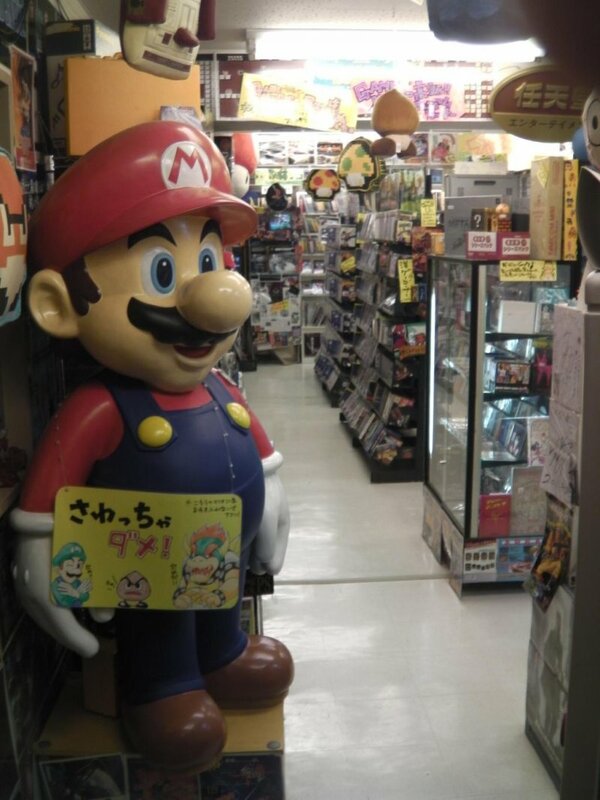 You can find an enormous collection of classic character stuffed animals, video game music soundtracks, and so on. 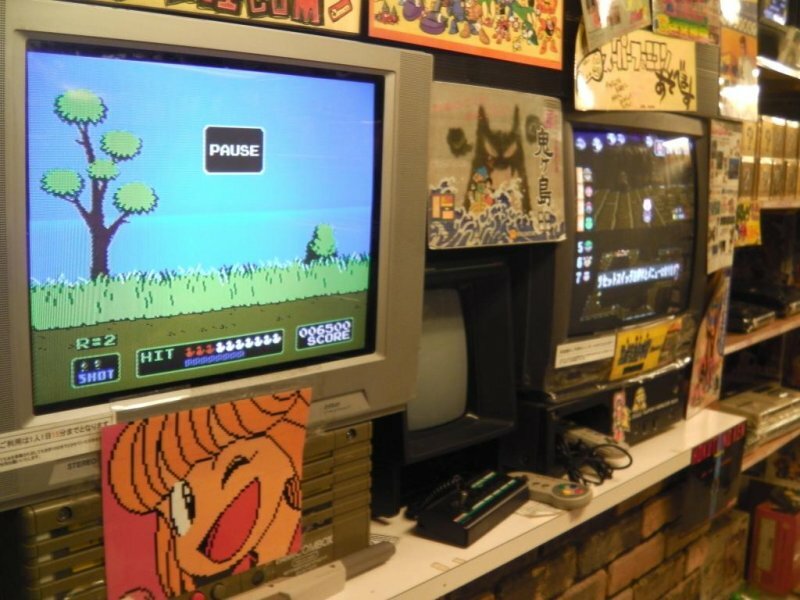 The fifth floor of Super Potato has a vintage video game arcade, with a nice collection of old games available to pump coins into while sipping on pop sold in glass bottles. 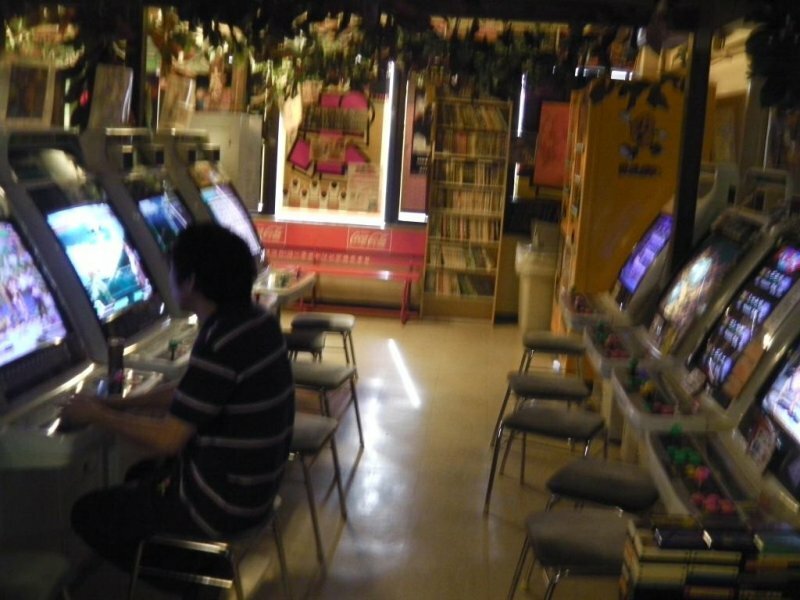 The collection of machines isn't huge compared to other arcades, but there are a nice selection and enough memorable classic games to make it a nice finishing touch to the Super Potato experience. Whether you're looking for some cool souvenirs or video game equipment that you just can't find anywhere else, Super Potato is a fun stop for any classic video game enthusiast. 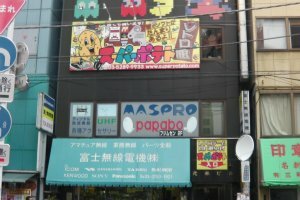 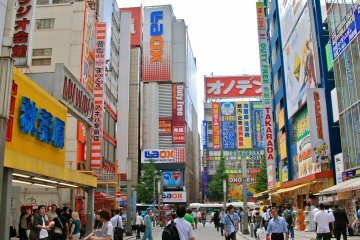 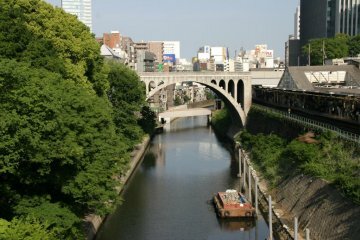 Four minute walk from Akihabara Station. 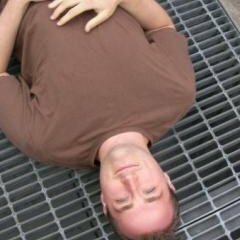 I am an avid backpacker, writer, marathon runner, hiker, eater of spicy foods, watcher of B-movies, and user of the Harvard comma. 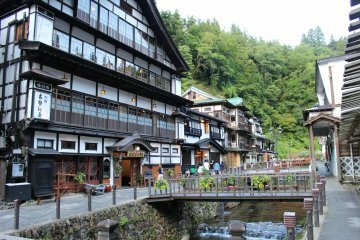 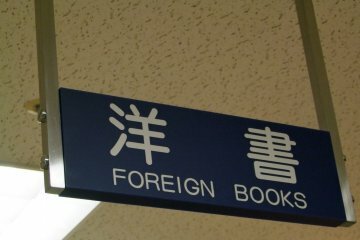 I'm originally from Buffalo, New York, and arrived in Japan in 2008.